The first thing that came to mind was that this group had answered their own question: parents, teachers, professors in college, friends, the newspapers, internet, radio, TV – all of these sources, and many more, affect our belief system. With so much information coming at us from every angle these days, it becomes vitally important to be skeptical about what we take in, because once we give sanction to the information, it becomes a belief. The challenge for most of us is that a lot of this information came at us when we were very young, and we didn’t have the ability, at the time, to discriminate between “truth” and “opinion.” However, because the information came from authority figures, we didn’t question it. We agreed with whatever we heard. It then became “truth” for us and got stored in our subconscious to form the foundation for our future decision-making. 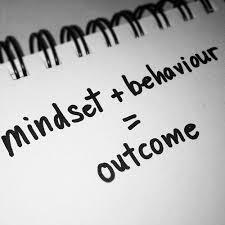 One of the key principles in the Successful Mindset Ltd’s education/training is, “Our thoughts accumulate to become beliefs.” The more we think about something, the more it becomes a part of who we are, and these then get played out in our actions and behaviours. (The word “thoughts” can also be translated as “self-talk”.) So, it becomes very important that we are careful what we listen to, and from whom we get the information. Like the old saying goes, “Don’t believe everything you hear” – or see or read. The good news, now that we are adults, and as we travel through life we gain new experiences, new ideas, see new ways of doing things that all challenge our concept of “truth,” so that we can examine our beliefs and toss out the ones that no longer serve us. Take the time for a little self-reflection. You’ll be glad you did.